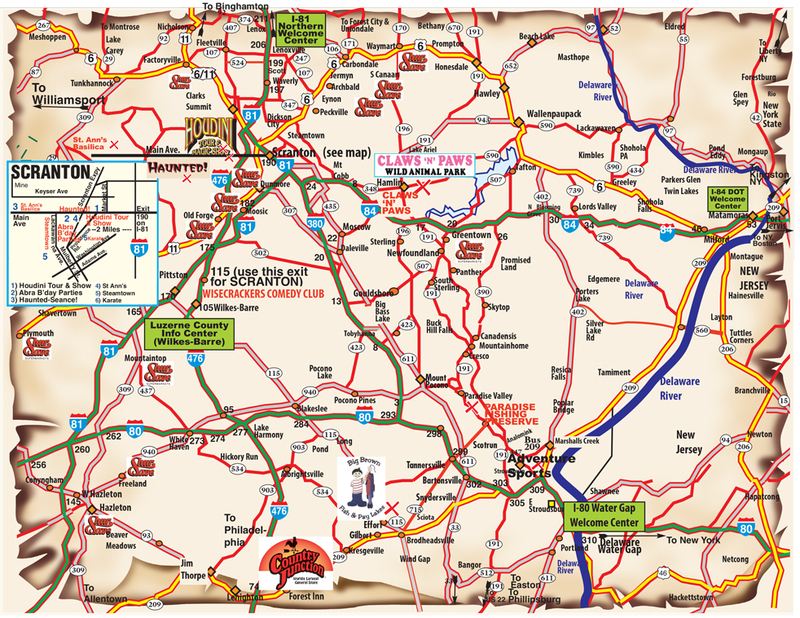 Pocono attraction best things to do area scranton tourist top main major sightseeing points of interest attractions Fun Guide PA sites sightseeing Pa.
Free vacation discounts & coupons! in the Pocono Mountains Region of Pennsylvania. Listings are hot buttons for more information. 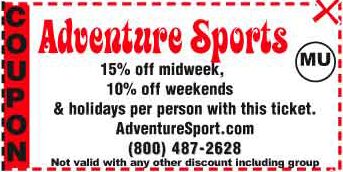 Free Attraction Discount Coupons while you are in the Pocono area. 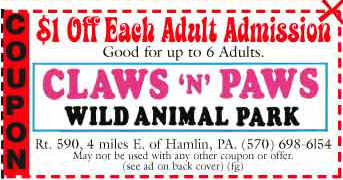 We can help make with Pocono hotel choices. Go to One Page description of major attractions in the Pocono-Poconos-Scranton area. 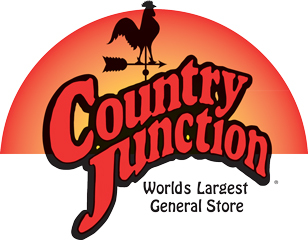 Go to List of over 200 SCRANTON POCONO area hotels and restaurants listed by area and town. Go to Detailed listing of best Lodging of all types in the entire area. Go to SCRANTON HISTORY. Historic Jewel of the Pocono Mountains Region. Go to Tour 4 of Scranton. Tour of the old coal mining area. Go to Grand RR Stations built because of Scranton's Iron, Steel and coal. Go to Old Railroad posters promoting "clean" rides with Phoebe Snow. � by magicusa. Except for reviews, no part of any of this document may be reproduced in any form, without written permission by the authors. For information about this page call (570) 383-1821. The graphics have been retouched, computer enhanced and resized by the authors. 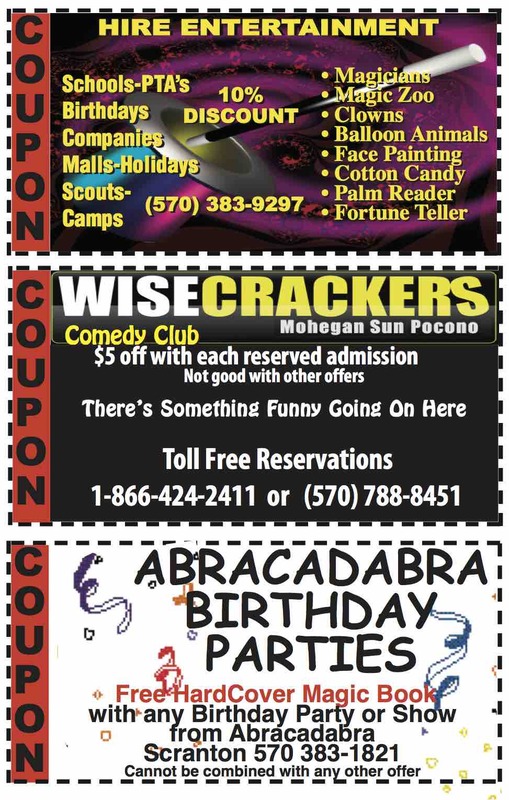 Use these coupons for the best discounts in the Pocono Mountain Region, the Poconos, NE PA, Scranton, Wilkes Barre, NEPA attractions, etc. 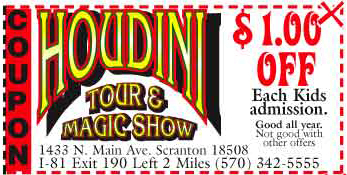 Attractions include Claws N Paws Wild Animal Park, Houdini Museum tour & Stage Magic Show, Adventure Sports, Haunted, Mind Mysteries & THE Beyond, Scranton Ghost Walk, Nay Aug ParkSteamtown National Historic Site Everhart Museum Montage Mountain Ski Resort etc.